wayfaring marker. 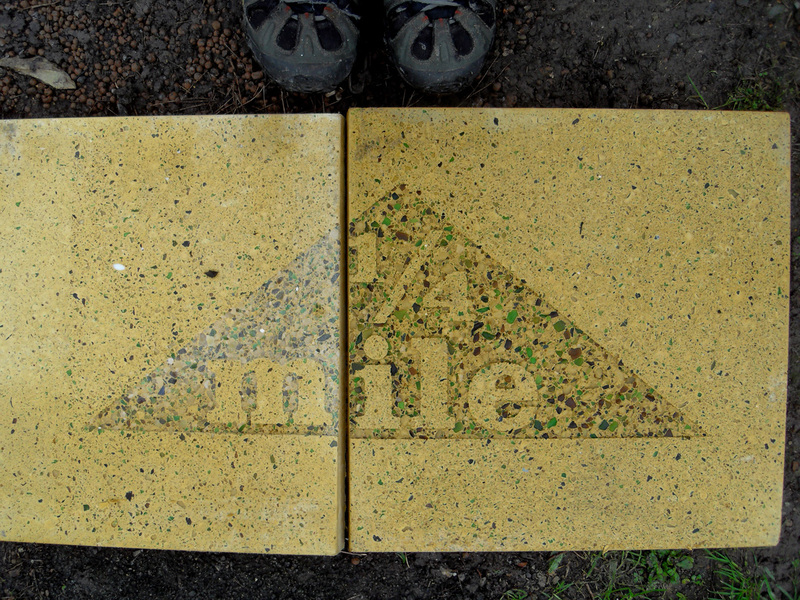 we’re really pleased at how the larger wayfaring lettering and mile markers are quite subtle and have an organic feel – they seem to exist as part of the paving rather than imposed upon it. 19 Jan This entry was written by admin, posted on January 19, 2010 at 6:17 pm, filed under Uncategorized. Bookmark the permalink. Follow any comments here with the RSS feed for this post. Both comments and trackbacks are currently closed.